I met one of my neighbors on my trails today and he said there was a mystery. I’m trying to figure out what he’s talking about. How can Detective Dog solve a mystery if he doesn’t know what it is? 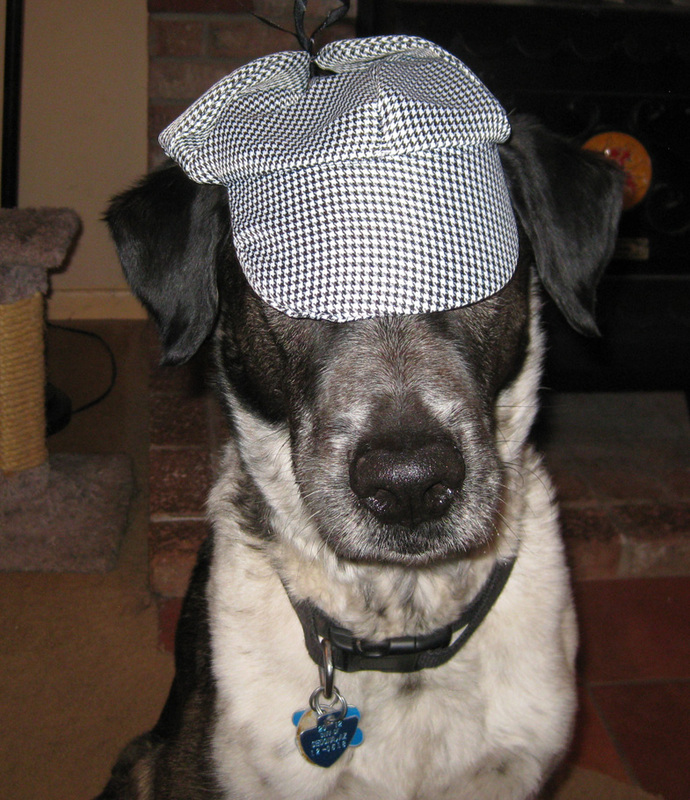 Maybe I’ll figure it out if I put on my Detective Dog hat. My neighbor was talking about what? The mystery of the clouds? 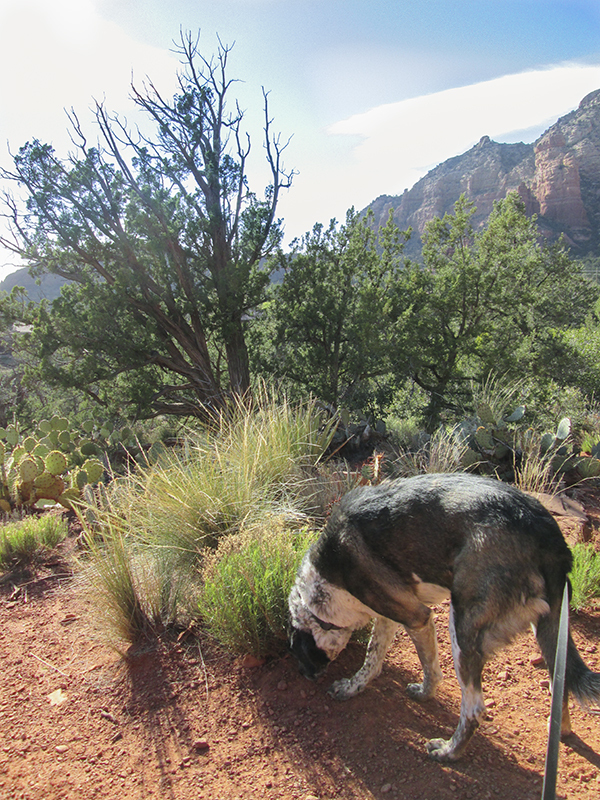 If they’re not on my trails and I can’t smell them, then it must not be a mystery worthy of Detective Dog’s time. Besides, what’s so mysterious about clouds? 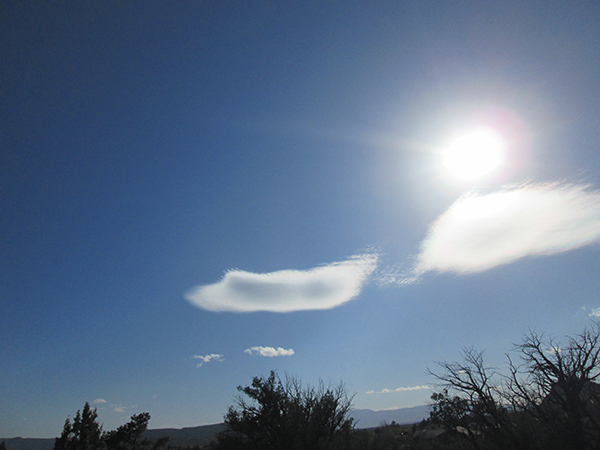 I’m leaving the mystery of the strange cloud shapes to my neighbor. I’m heading back inside. It’s awfully windy out here. wow does not look like our sky today it is clear.. sunny no wind finally. Momwithoutpaws took me for an adventure today. There is a picture you need to look at..Did you leave me that rock Bongo? You are always finding rocks.. Did you leave me this special rock..??? Fredrieka, there is actually a tiny bit of snow on the ground at my house right now. But the stars are out so I guess we won’t get any more. And yes, that rock was a special gift to you. Lily & Edward, I hope they pull the other one too then, so they both get stretched out the same. Coo! A new picture but now I cannot see your eyes..how can you spy something with your eyes covered…..come on person..put his eyes back! Patrecia, I guess if I could see better I might be more interested in solving this mystery. Our sky is nowhere near that blue – so foggy whee couldn’t go out! 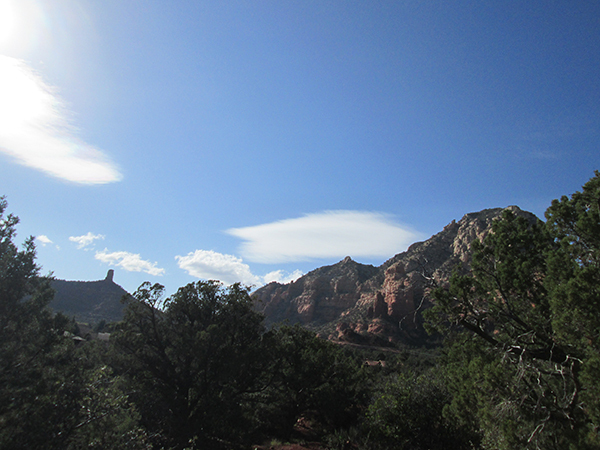 Pigs, the clouds rolled in here today – but they’re supposed to be gone again tomorrow. If only whee had such luck, looks like the fog is here to stay where whee live. Those last clouds look like sunglasses. I think you NEED sunglasses out there today. Cupcake, I keep telling my person to get me my sunglasses and she always forgets. Those clouds are making me hungry…for creamy fluffs of icing. Karen, that sounds nummy. Maybe that’s the mystery. How to get hold of those clouds and munch. Marina, that’ what my person says. The wind does some strange things to clouds here sometimes. Marty, at least it’s not my hat that’s odd looking. 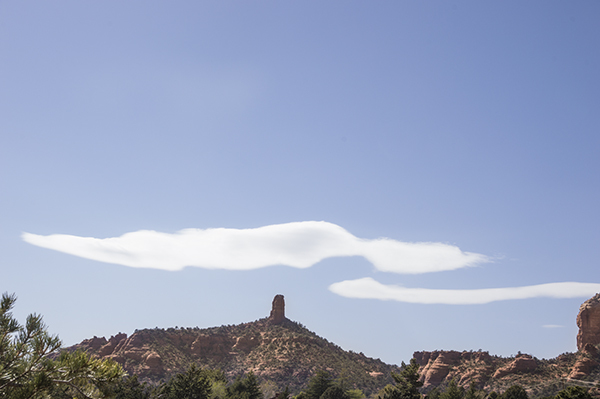 Kevin, these are some of the most unusual cloud shapes I’ve seen here. I had to make my person Google Songoku to find out who he is and she found some pictures of him riding on clouds. They do kind of look like my clouds. Kevin, now I have another mystery. Those strange clouds disappeared and normal ones took their place. I don’t know what happened to the strange ones.